Showrooming via a smartphone has emerged as a retail boogeyman. 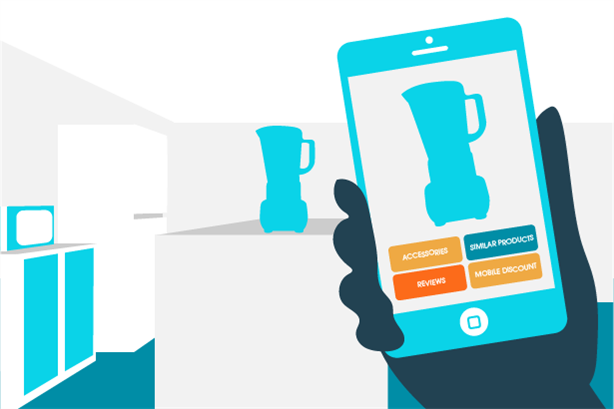 For the first time, consumers can shop competitors while still inside your store. With margins already pressured from online sales, retailers have good reason to fear. Smartphone showrooming seems to portend an apocalypse of race-to-the-bottom pricing that only the leanest and meanest can survive. But there is good news: For smart retailers, the showrooming apocalypse need not happen. A recent study of US women, Romancing the Store: Reconnecting in the Empowered Shopper Era, shows that smart retailers should embrace showrooming as part of their brand storytelling strategy — to increase in-store sales. Tiffany Cook, lead retail strategist at Waggener Edstrom Communications, sees this as an inflection point for retailers. 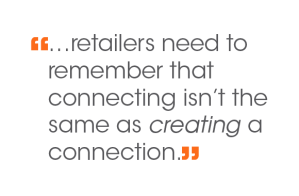 "In the pursuit to connect with customers everywhere they are, retailers need to remember that connecting isn’t the same as creating a connection." Retailers also must understand why consumers are turning to their smartphone. Surprisingly, it’s not always to get the best deal: The study revealed two other insights that most retailers have not yet tapped, which can turn the smartphone into women’s best friend. First, the study uncovered how women still see shopping as a form of escape from the daily grind. They still deeply treasure the sensory experience of a brick and mortar store. The good news is they actually want their smartphone to enhance rather than replace that experience. If brands want to win them back, they need to establish a richer narrative about their offerings. An app should be positioned as a personal shopper that can help them locate products, check inventory and answer questions. A second key finding in the study was the relationship between technology and customer confidence. While online shopping and mobile apps have given shoppers more choice than ever, the tide is starting to turn and the amount of options is becoming overwhelming. Overwhelmed by choice, consumers are having difficulty feeling good about a purchase decision and are losing confidence. This doesn’t help during a time when the recovering economy and increased pressure to "do it all" is causing worry for women who often double as the family’s chief financial officer. But it doesn’t have to be this way — mobile can actually be a retailer’s best friend. 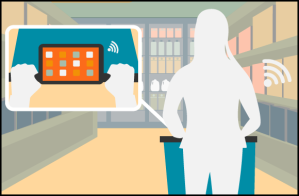 Cook adds, "Our study found that the smartphone is often the tool that gives her the confidence she needs to feel she’s making the right choice for her family while in the store. Embracing this dynamic is one of the best ways for retailers to make showrooming work in their favor." According to Cook, the key is to communicate that the app is her best tool for confirming she’s making a smart decision. Reward her with confidence instead of discounts, and escape the price wars that risk losing her. The impact technology is having on retail is highly nuanced — it’s not an easy story to tell, and offerings like mobile apps need to be positioned in a strategic way from the start. Dialing in on what is motivating shoppers should be the road map. Strategic communications will be an important vehicle to keep shoppers coming back to the store. Need help navigating the mobile shopping landscape? Get a free copy of Romancing the Store: Reconnecting in the Empowered Shopper Era. The full report includes even more detailed findings about what is motivating shoppers today and strategies for winning the price wars against the likes of Amazon and driving consumer loyalty. Written by Waggener Edstrom Communication’s consumer team. For more information, please click here.